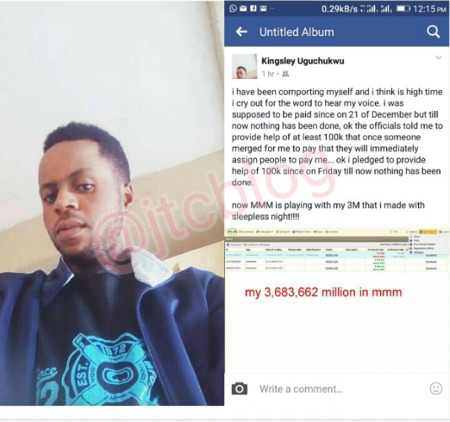 A Facebook user identified as Kingsley Ugochukwu cries out as he alleged to have lost over N3Million to the popular MMM Ponzi scheme. 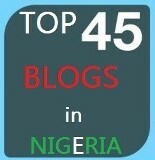 i have been comporting myself and i think is high time to cry out for the word to hear my voice. i was supposed to be paid since on 21 of December but till now nothing has been done, ok the officials told me to provide help of at least 100k that once someone merged for me to pay that they will immediately assign people to pay me... ok i pledged to provide help of 100k since on Friday till now nothing has been done. Now MMM is playing with my 3M that i made with sleepless night!!! !